Would you ever imagine that a long journey with your child could not be an unpleasant experience? And yet, you can make it! No, it’s not just a trivial phrase. You need to know what to expect. It is advisable to have snacks, toys, books and anything else that could distract your little one from the monotony of the road. When one “object” loses its … glory, the next one should follow to replace it. The more “daylight” you will have on your trip, the most things your little one can see and look at. This means many visual interests and a lot of time to play. Of course, do not think it would be advisable to leave eg At 4.00 at dawn. Your little one would not have enjoyed sleeping in the middle. Perhaps your conversation with … the back seat of your car seems strange to you, since you will not get any answer to everything you say, but it will make your little one feel better because he will not feel neglected and forgotten. Frequently asked about how he is, what he does, how he sees things around him, etc. It is certain that for as long as you talk to him, he will have a better mood. Any game that enhances the interaction and does not require you to turn around in your seat is advisable. For example, if your little one learns the alphabet, you can say aloud the letters in turn and urge them to repeat them after you. Of course, listening to “A … A, B … B, C … C …” for 3 hours may be a bit monotonous but surely for the first 2 hours and 59 seconds it’s relieving! During your trip, it is advisable to take some breaks at least every 2 hours. Take advantage of this little time to use the bathroom, change your diaper, grab a bite, walk around, run with your little one. 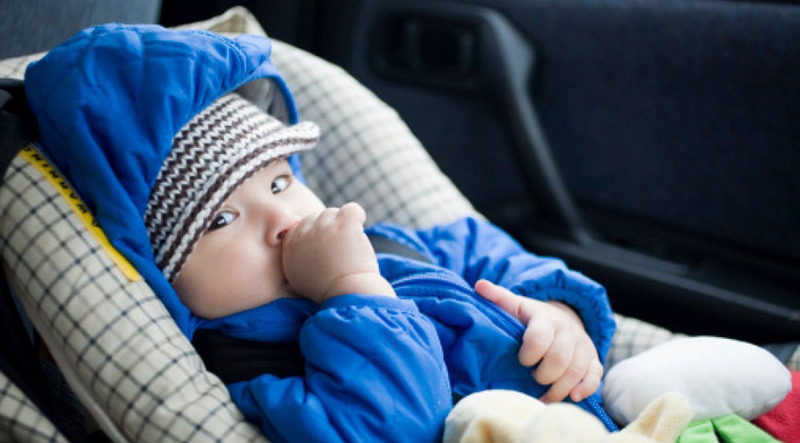 The more energy your little one burns at one of your stops, the less worry it will have when you put it back in the car seat. In theory, it is not the best to have such a device in the car. Television is not the best solution to keep in … suppressing an infant. However, we must admit its usefulness in some specific cases. When choices of entertainment lessen perhaps a child’s film is a unique way of avoiding nagging and weeping. You will give your baby the opportunity to relax and continue enjoying the experience of the trip. 7. Beware of … hallucinations. When you drive for many hours and you begin to think that cars passing by are “talking to you”, it’s time to stop, get out of the car and get fresh air. Without a second thought! And when you finally reach your destination, do not miss to thank your little one. Besides, it was not little the effort he made! Give one big, tender hug and maybe you will be forgiven for the discomfort your angel had been subjected to!